Tom and Vera, presented by Desperate Optimists and Dublin Theatre Festival, provides audiences with a refreshing and darkly comic take on the impact of the financial crisis on two ordinary lives. 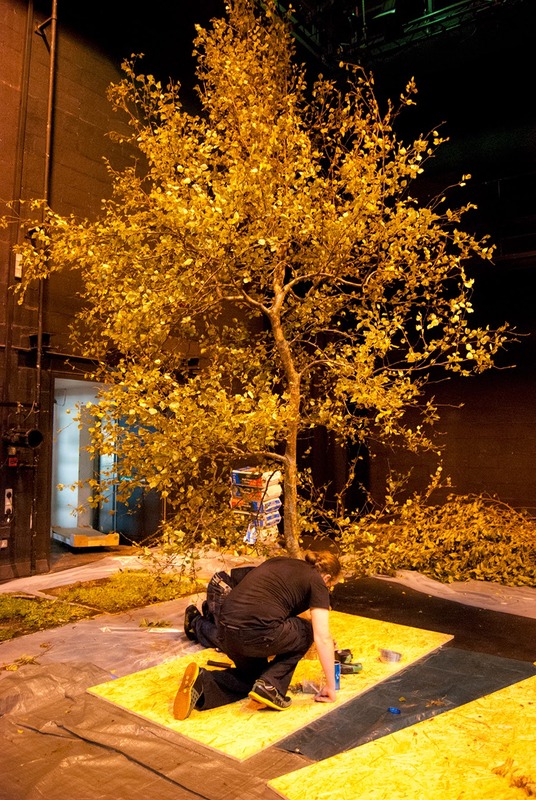 For this production the set designer, Dominique Brennan, was presented with the task of creating a living, breathing forest within the boundaries of the Samuel Beckett Theatre, Dublin. 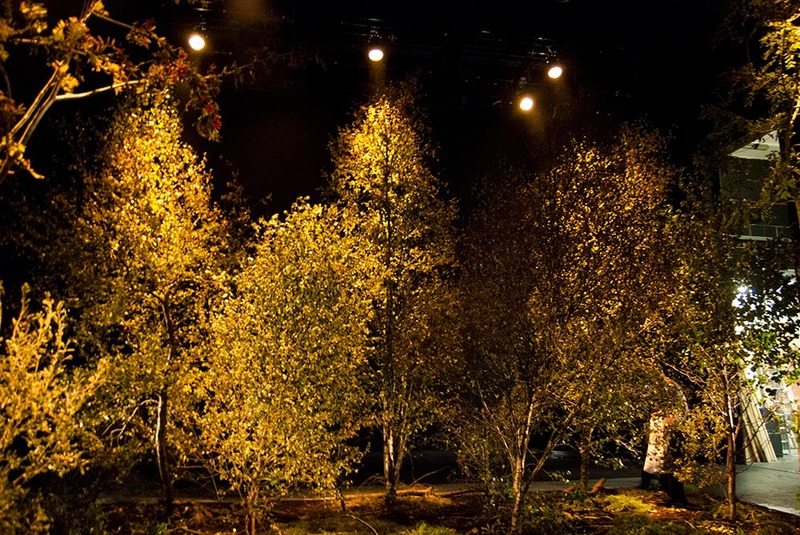 Over the period of two days the space was transformed into a rich and striking woodland filled with beautiful birch trees, budding flora and some lurking wildlife. The forest floor was built first. This was carried out in sections using sheets of wood which were glued and covered with grass, soil and a range of forest materials such as mushrooms, daisies, rocks and logs. 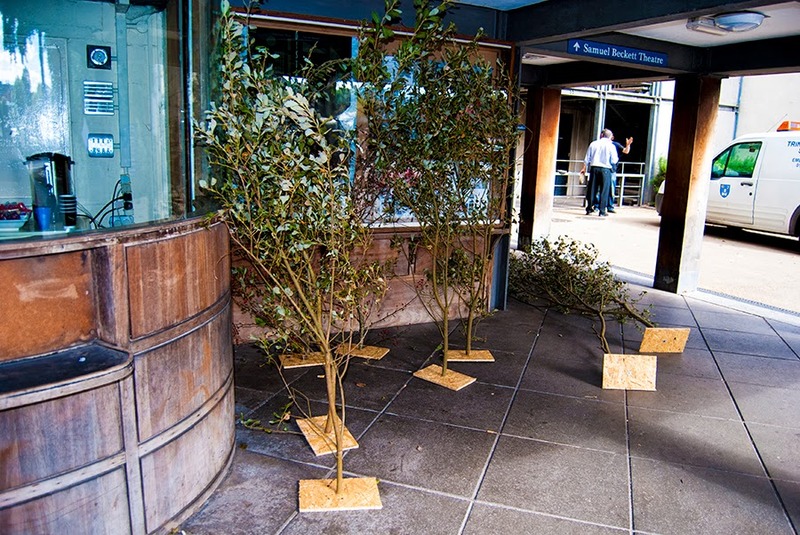 Once all the boards were complete the next stage was installing the trees. Thanks to Tree Surgeon Robert Barber an assortment of beautiful trees were sourced from the North West of Ireland. After a few hours of installation the trees were secured and put into place. Some time was spent gathering and arranging organic materials which provided the finishing touches to the intricate forest floor. 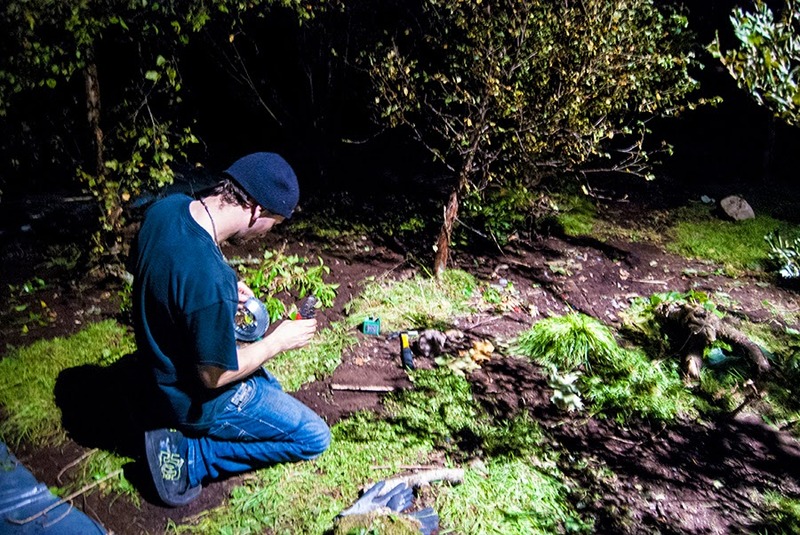 The final tasks involved planting heather, shrubbery and adding a touch of nature in the form of a curious robin and fox. This production is sure to transport its audience deep into the heart and drama of a dynamic story and a wonderfully vibrant woodland setting.